Kim Jong-hyun(April 8, 1990– December 18, 2017), better known mononymously asJonghyun, was a South Korean singer-songwriter, record producer, radio host, and author. He was the main vocalist of the South Korean boy band Shinee , and participated in SM Entertainment 's project group SM The Ballad . Jonghyun began a solo career in January, 2015, with his first extended play album,Base.It peaked at number one on both the Billboard World Album Chart and the Gaon Album Chart .September 17 the same year, Jonghyun released a compilation album,Story Op.1.His debut studio albumShe Iswas released on May 24, 2016,followed by his second compilation album,Story Op.2on April 24, 2017.Jonghyun remained musically active until he committed suicide by carbon monoxide poisoning in December 2017.His final album,Poet | Artist, was released posthumously on January 23, 2018. In 2009, Jonghyun started contributing to the group as a songwriter, writing the lyrics to their fourth Korean single, "Juliette", which was included on the group's second EP,Romeo. Jonghyun said he was inspired by the classic movie,Romeo and Juliet ,and he wanted to write a romance story that "will make everyone interested but also a story which everyone can identify with". The group released their debut mini album,Miss You, on November 29, 2010. Jonghyun won the first round and defeated his label mate, Yesung of Super Junior, but left the show after the first episode due to his busy schedule.The show subsequently came under fire from viewers, who said the program's elimination method was too harsh.
. The song, which Jonghyun gave to IU as a friend, was also co-written by Jonghyun and dubbed a duet.Two months later in December, Son Dam-bi released the song, "Red Candle", which was also composed and written by Jonghyun. MBC said they chose Jonghyun to host because of his dedication to music-related activities and passion for music. He replaced singer Ahn Jung-yeop of Brown Eyed Soul , who had been the host for more than three years. , composing and writing the track, "Pretty Boy",which was released in August 2014. Jonghyun performing at the showcase for his debut album,Base, in January 2015. On January 10, television network Mnet confirmed that Jonghyun would appear on the first episode of the second season of entertainment program,4 Things Show. Taemin , Davichi 's Minkyung and Zion.T appeared as Jonghyun's friends during the episode. .A month later, in April, Lim Kim released "No More" on her third mini album,Simple Mind, which was also composed and written by Jonghyun. He also participated in the vocal direction for all of the aforementioned songs. Jonghyun performed songs from his first EP, and also released a new compilation album of his songs recorded in his radio show "Blue Night". The compilation album,Story Op.1, was released on September 17, 2015.Following the release of the album, Jonghyun performed a total of 12 sold-out shows, titledThe Story by Jonghyun, in October. Each concert featured a different guest, including Shinee's Onew and Taemin, IU, Zion.T, Jung-in , Lim Kim , Oksang Dalbit, Coffee Boy, Nine, Lee Ji-hyoung, Soran, and poet Ha Sang-wook. In October 2015, Jonghyun was selected as one of the top five K-pop idol vocalists by a survey completed by 40 anonymous music industry officials. , which was released in March 2016.Jonghyun released a collaboration single with Heritage titled "Your Voice" on March 18, 2016, as part of SM Entertainment's SM Station project. Jonghyun said that "one can feel his passion as a singer-songwriter the most" onShe Is. In an interview for Esquire Magazine, he described the experience as a turning point in his life. It was a space where he could explore new things, express himself and connect with the public on a deeper level: ''Before, I think I was more comfortable being “the singer Kim Jonghyun.” [...] Because it was the one I [and the public] was used to. However, that changed when I started doing radio. As I started expressing my human side to others, I became [more] comfortable with the image of Kim Jonghyun that I revealed through radio.'' He also enjoyed the routine that came with hosting the midnight radio show. It gave him a sense of stability, which is rare in the entertainment industry. , between May and July, 2017, at SMTOWN Coex Artium in Seoul. Originally only 12 concerts were planned, but Jonghyun decided to hold eight additional concerts after fans requested more performances. The concerts included songs from the albumStory Op.2, and attracted 14,000 fans. 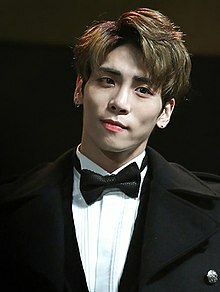 with all profits from the album sales to be given to Jonghyun's mother, in addition to establishing a foundation "to help those who are living in difficult circumstances".Poet | Artistdebuted at number 177 on the Billboard 200 with 5,000 equivalent album units, making Jonghyun one of the few K-pop artists to chart on the chart. and they declared his death a possible suicide. Nine9 was alarmed by the note and was advised by her agency to keep in touch with Jonghyun.She had tried to help him, but this only "delayed his passing" and "did not prevent it". His first albumShe Ischarted at number four.The single and compilation album also ranked number six onBillboard's World Digital Song Sales chart and number five on its World Albums Chart. they decided to hold the concerts as scheduled. 's Social 50 chart at number two with 425,000 Wikipedia views, a boost of 17,974 percent. paid tribute to him at their concerts. MBC Radio planned on holding a special memorial broadcast for Jonghyun's long-running radio show, "Blue Night", on December 21, but decided to cancel it due to "the possible social effects of the late idol's voice going on air again." named Jonghyun one of four K-pop musicians who have distinguished themselves from the mass-produced singers in the idol industry, the other three being G-Dragon , Zico and B1A4 's Jinyoung , for their "exceptional talent in songwriting, producing and dancing, plus other abilities that make them successful musicians".Jonghyun was considered to have a unique musical style, and was praised for writing and composing the majority of his solo tracks.Insight Koreamentioned him as one of seven idol group members who seemed to have been "born to make music". Mark Russell (April 29, 2014). K-Pop Now! : The Korean Music Revolution. Tuttle Publishing. p. 67. ISBN 978-1-4629-1411-1. "Shinee singer Jonghyun: K-pop boy band superstar dies". BBC News. December 18, 2017. Retrieved December 18, 2017. Lim, Jeong-yeo (January 7, 2015). "Jonghyun's 'Deja-Boo' tops music charts". Kpop Herald. Retrieved April 12, 2018. "Gaon Album Chart Weekly (11/1/2015 - 17/1/2015)". Gaon. Archived from the original on January 6, 2015. "SHINee's Jonghyun Rises to No. 1 on World Albums Chart With 'Base' EP". Billboard. January 22, 2015. Retrieved January 23, 2015. "STARHOME > Discography". JongHyun Official Website. S.M. Entertainment. Retrieved April 14, 2018. Ko, Su-jin (May 23, 2016). "SHINee's Jonghyun Proves His Songwriting Abilities". Mwave. CJ E&M enewsWorld. Retrieved April 14, 2018. Min, Susan (19 April 2017). "SHINee′s Jonghyun to Collaborate With SNSD′s Taeyeon in New Title Track". MWave. Retrieved April 14, 2018. Phoon, Zoey (December 19, 2017). "Jonghyun from SHINee Commits Suicide, Here's His Final Letter to the World". World of Buzz. Retrieved April 10, 2018. Kelly, Emma (January 22, 2018). "Artwork and tracklisting for Jonghyun's final album revealed ahead of release". Metro. Retrieved April 10, 2018. Lam, Lydia (December 18, 2017). "SHINee's Jonghyun dies in apparent suicide: A look back at K-pop singer's life". The Straits Times. Retrieved February 19, 2018. Park, Hae-young (December 28, 2017). "유명 아이돌 `샤이니` 종현 숨진 채 발견". MK News (in Korean). Retrieved February 19, 2018. "SM 대형 신인 '샤이니' 25일 '인기가요' 통해 데뷔" [SM's new rookie group Shinee to debut with 'popular music' on 25 May]. HanKyung (in Korean). August 20, 2008. Archived from the original on July 11, 2016. Retrieved June 20, 2011. Glasby, Taylor (June 21, 2016). "Standing alone, Kim Jonghyun is unlike any other K-pop idol". Vice. Retrieved August 11, 2017. "노래도 자라고 키도 자라고 … 남동생 티 벗은 샤이니" [New song, music grows ... Young idol group Shinee]. JoongAng Ilbo (in Korean). June 10, 2009. Archived from the original on September 30, 2016. Retrieved July 23, 2010. "K-Pop Stars Band Together for G20 Theme Tune". Chosun Ilbo. October 14, 2010. Archived from the original on July 19, 2012. Retrieved February 21, 2015. Lee, Eon-hyuk. "규현·종현·제이, 신예 지노와 프로젝트 SM더발라드 그룹 결성". Archived from the original on March 12, 2012. Retrieved February 21, 2015. "SM the Ballad, 28일 '인기가요'로 데뷔 무대" [SM the Ballad, 28 days 'popular music' to debut']. Nate (in Korean). November 27, 2010. Retrieved November 28, 2010. Kim, Myung-hyun (May 6, 2011). "Idol stars cast for singing contest program". 10Asia. Retrieved March 30, 2012. Jang, Chang-hwan (June 10, 2011). ""불후의명곡2 너무 잔인" 네티즌 왜 난리?". Osen (in Korean). Retrieved April 10, 2018. "'불후2' 아이돌에겐 너무 잔인한 '탈락' 논란" ["Immortal Song 2" Under Fire For Harsh Elimination Method]. OSEN. Naver. June 10, 2011. Retrieved February 21, 2015. Lee, Keum-jun (September 23, 2013). "'컴백' 아이유, 최백호-양희은 등 '초호화 피처링' 눈길" [IU Returns with Featured Artists Including Choi Baek-ho and Yang Hee-eun]. Asia Economy (in Korean). Retrieved October 8, 2013. Jeon, Su-Mi (December 23, 2013). "Son Dam Bi to Comeback with SHINee Jonghyun's Song 'Red Candle′". Mwave via CJ E&M enewsWorld. Archived from the original on March 1, 2014. Retrieved December 20, 2013. Jackson, Julie (February 13, 2014). "SM ballad artists serenade fans in joint recital". The Korea Herald. Retrieved May 19, 2018. Sohn, Ji-young (February 5, 2014). "SM group to release sophomore album 'Breath' next week". The Korea Herald. Retrieved May 19, 2018. "샤이니 종현 다음달 3일부터 MBC 라디오 '푸른밤' 지기". Sports Kyunghyak (in Korean). January 23, 2014. Retrieved April 10, 2018. Lee, Sun-min (January 24, 2014). "SHINee singer joins MBC radio". Korea Joongang Daily. Archived from the original on July 19, 2016. Retrieved January 26, 2014. Ahn, Sung-mi. "'Deja-Boo' is my musical color: Jonghyun". Kpop Herald. Retrieved August 11, 2017. Sohn, Ji-young (August 11, 2014). "Taemin of SHINee to release first solo album". Kpop Herald. Retrieved June 17, 2016.
gracedanbi. "SHINee's Jonghyun to Collaborate with Younha, Wheesung and Iron in First Solo Album". Mwave. CJ E&M enewsWorld. Retrieved April 2, 2015. Ahn Sung-mi (January 8, 2015). "'Déjà-BOO' is my musical color: Jonghyun". The Korea Herald. Retrieved January 24, 2015. "SHINee's Jonghyun tops Gaon chart". K-Pop Herald. January 23, 2015. Retrieved January 24, 2015. Hong, Jung-won. "종현 "사람들 내 진짜모습 안봐..억울해" 울컥" [Jonghyun is the first guest for "4 Things Show - Season 2"]. Newsen. Retrieved January 10, 2015. Ha, You-bin (March 30, 2015). "EXO's 2nd Album 'EXODUS' Will Be Revealed at Noon". Yahoo. Archived from the original on April 9, 2015. Lim, Jeong-yeo (April 30, 2015). "SHINee Jonghyun praises Lim Kim's 'Simple Mind'". Kpopherald. Retrieved May 19, 2018. Lee, Eun-Ho (October 14, 2015). "'월간 라이브 커넥션' 종현, 자작곡 '엘리베이터' 오늘(14일) 최초 공개" ['Monthly Live Connection' Jonghyun, his own 'elevator' today (14th) for the first time public]. 10 Asia (in Korean). Retrieved January 10, 2015. Hong, Shi-nae (August 25, 2015). "SHINee's Jonghyun to headline first concert of SM Entertainment's "The Agit" solo concert series". StarIn (in Korean). Retrieved August 25, 2015. Ko, Ji-seon (October 20, 2015). "SHINee's Jonghyun talks about new album and novel". Kpop Herald. Retrieved May 19, 2018. Lee, Jin-ho (October 10, 2015). "SHINee′s Jonghyun Successfully Concludes First Solo Concert". Mwave. Retrieved October 20, 2015. Sung, So-young (May 18, 2016). "Jonghyun's first full album out this month". Korea Joongang Daily. Retrieved May 20, 2016. Hong, Se-young (July 4, 2014). "샤이니 종현, '푸른 밤' 청취자 위한 자작곡 전격 공개" [Jonghyun to reveal his new compositions on MBC FM4U's 'Blue Night']. Sports Donga (in Korean). Retrieved May 19, 2018. Kim, Yu-jin (October 18, 2015). "Who are the top five K-pop idol vocalists?". The Korea Herald. Retrieved May 19, 2018. Kim, Soo-hyang (February 22, 2016). "Taemin to release 'Press It'". Retrieved February 22, 2016. Kim, Mi-hwa (March 16, 2016). "SM스테이션 다음 주자는 샤이니 종현X헤리티지..공동 작사·작곡". StarNews (in Korean). Retrieved June 18, 2016. Min, Susan (April 26, 2015). "SHINee's Jonghyun Prepares for Solo Album". Mwave via CJ E&M enewsWorld. Retrieved April 26, 2016. "Genre according to korean music site". Retrieved June 5, 2016. "STARHOME > Discography". JongHyun Official Website. S.M. Entertainment. Ahn, Woorim (May 17, 2016). "Jonghyun To Release His First Official Album". bnt News. Retrieved July 18, 2016. Hwang, So-young (March 9, 2017). "종현, '푸른밤' 3년만 DJ 하차…"4월 2일 막방, 후임 논의中"[공식]". Ilgan Sports (in Korean). Retrieved February 19, 2018. "[공식입장] MBC 측 "샤이니 종현, '푸른 밤' DJ 하차...후임 미정"". OSEN. March 9, 2017. Retrieved March 9, 2017. "푸른 밤 종현이었습니다". Esquire Korea. Retrieved 10 January 2018. "종현, 24일 두번째 소품집 '이야기 Op.2' 발표…전곡 자작곡 [공식]" (in Korean). Entertain Naver. April 18, 2017. Retrieved April 18, 2017. Joel Lee (May 11, 2017). "Jonghyun to hold extra concerts". Kpop Herald. Retrieved July 5, 2017. Joel Lee (July 3, 2017). "종현, 솔로 콘서트 '유리병편지' 20회 공연 대장정 마침표" [SHINee Jonghyun, concludes long road to 20th solo concert.. Brings 14000 audiences] (in Korean). Ten Asia. Retrieved July 5, 2017. "[공식] 샤이니 종현, 12월 솔로 콘서트 개최…15일 예매 오픈" (in Korean). Retrieved November 7, 2017. "故샤이니 종현, 내년초 솔로 신곡 발표 앞두고 사망…슬픔 더하는 이유" (in Korean). Naver. December 19, 2017. Retrieved December 23, 2017. "[공식]故 종현 유작앨범 공개된다… SM "23일 발표"" (in Korean). Retrieved 2018-01-19. Herman, Tamar (January 19, 2018). "Posthumous Album From SHINee's Jonghyun Coming Soon". Billboard. Archived from the original on January 26, 2018. Retrieved January 26, 2018. Benjamin, Jeff (January 30, 2018). "Jonghyun Makes Billboard 200 Debut With Posthumous 'Poet/Artist' Album". Billboard. Retrieved January 30, 2018. "푸른 밤 종현이었습니다" [Esquire Korea Interview - Blue Night Jonghyun]. Esquire Korea (in Korean). Retrieved December 27, 2017. Kwon, Joon-hyup (December 18, 2017). ""우울증 힘들다" '샤이니' 종현 사망". Kukmin Ilbo (in Korean). Retrieved February 19, 2018. Yoon Sung-yeul (April 4, 2013). "'교통사고' 종현, 코뼈골절진단.."입원 치료 전념"". Star News (in Korean). Archived from the original on September 11, 2016. Retrieved September 10, 2016. Grace Danbi Hong; Kim JiYeon (April 1, 2016). "SHINee's Jonghyun Involved in Car Accident". CJ E&M enewsWorld via Mwave. Retrieved September 10, 2016. Jeff Benjamin (September 5, 2013). "SHINee Ask 'Why So Serious?' Without Member Jonghyun". Billboard. Archived from the original on January 24, 2016. Retrieved September 10, 2016. Gabrielle (16 December 2013). "Shinee's Jonghyun shows support to Korea's minorities". Seoulbeats. Retrieved 11 January 2018. Yu, Seulki (December 17, 2013). "SHINee's Jong Hyun under attack for his support of the sexual minority". DramaFever. Archived from the original on December 20, 2017. Retrieved December 18, 2017. Saunders, Emmeline (December 18, 2017). "Korean superstar Kim Jong-Hyun 'trolled by far-right conservatives' for supporting LGBT fans before apparent suicide". Mirror. Retrieved December 18, 2017. Ib, Ryuk (December 18, 2013). "샤이니월드 vs 일베 '일촉즉발' 분위기? 일베 비방 수위가…". Herald Corporation (in Korean). Archived from the original on December 21, 2017. Retrieved December 19, 2017. "경찰 "샤이니 종현, 사망 이틀전 누나에 우울증 호소"" (in Korean). Naver. 18 December 2017. Retrieved 23 December 2017. "샤이니 종현,레지던스서 갈탄 자살.."침대와 테이블 사이 방바닥..구토 흔적도" (종합)". Aju Business Daily (in Korean). 2017-12-18. Retrieved 2017-12-24. Varandani, Suman (December 18, 2017). "What Is Jonghyun's Cause of Death? K-Pop Band SHINee's Singer Dead". International Business Times. Archived from the original on December 18, 2017. Retrieved December 18, 2017. "[Update] SHINee's Jonghyun dies in hospital". The Korea Herald. December 18, 2017. Archived from the original on December 18, 2017. Retrieved December 18, 2017. "CCTV에 담긴 종현의 생전 마지막 모습" (in Korean). Joins. 20 December 2017. Retrieved 24 December 2017. "샤이니 종현 사망…서울아산병원 빈소 마련 / SBS". SBS News (in Korean). 2017-12-18. Retrieved 2017-12-24. ""종현은 두 개의 '나' 사이에서 고민했던 것 같다"". Chosun (in Korean). 2017-12-19. Retrieved 2017-12-24. "(LEAD) SHINee member Jonghyun dies in apparent suicide: police". Yonhap News Agency. Archived from the original on December 18, 2017. Retrieved December 18, 2017. Aroesti, Justin McCurry Rachel (December 18, 2017). "Lead singer of South Korean boy band Shinee dies". The Guardian. ISSN 0261-3077. Retrieved December 18, 2017. France-Presse, Agence. "SHINee's Jonghyun joins ill-fated '27 Club'". ABS-CBN News. Archived from the original on December 23, 2017. Retrieved December 21, 2017. Binding, Lucia (2017-12-19). "27 Club: K-pop star Jonghyun reveals reason for suicide in heart-breaking farewell note". International Business Times UK. Retrieved 2017-12-21. "K-Pop Star's Suicide Makes Him Part of Infamous '27 Club'". News18. Retrieved 2017-12-21. "Jonghyun: Note shows K-pop star's struggles with depression". BBC. 19 December 2017. Retrieved 19 December 2017. "경찰, 故샤이니 종현 부검 안해..."스스로 목숨 끊은 듯"" (in Korean). Naver. 19 December 2017. Retrieved 23 December 2017. ""작은 한숨 내뱉기도 어려운 하루를 보냈단 걸" 샤이니 종현, 그는…". Joins (in Korean). 2017-12-18. Retrieved 2017-12-24. 윤상근 (19 December 2017). "나인 소속사 대표 "나인, 故종현 끝까지 붙잡았지만"(인터뷰)" (in Korean). Naver. Retrieved 23 December 2017. Nine9 (December 18, 2017). "Instagram post". Instagram. Retrieved December 26, 2017. "Jonghyun's coffin carried by K-pop stars at funeral". Entertainment Weekly. December 21, 2017. Retrieved December 21, 2017. "Jonghyun: K-pop stars carry SHINee singer's coffin". BBC News. December 21, 2017. Retrieved December 21, 2017. "K-pop stars carry SHINee singer Jonghyun's coffin after suicide". Channel News Asia. December 21, 2017. Retrieved December 21, 2017. Herman, Tamar (December 21, 2017). "SHINee's Jonghyun Laid to Rest In Private Ceremony". Billboard. Retrieved December 22, 2017. "Fans everywhere pay their respects to SHINee's Jonghyun". SBS PopAsia HQ. December 19, 2017. Retrieved December 25, 2017. "Jonghyun, Star K-Pop Producer And Singer, Dead At 27". NPR. December 18, 2017. Retrieved December 25, 2017. "Jonghyun fans take comfort in 'pearl aqua Moon' images". BBC News Asia. December 21, 2017. Retrieved December 25, 2017. "정은지 "故 종현 비보에 눈물..건강한 연예계 됐으면.."" (in Korean). Naver. 20 December 2017. Retrieved 24 December 2017. "정은지, 샤이니 종현 비보에 "오보였으면 좋겠단 생각에 눈물"" (in Korean). Naver. 20 December 2017. Retrieved 24 December 2017. "［芸能］死亡のＳＨＩＮｅｅ・ジョンヒョンさん　ソロ曲がチャート１位に". Yonhap News (in Japanese). December 19, 2017. Retrieved December 24, 2017. Jeong, Jee-won (December 29, 2017). [공식입장] 故종현 'Lonely' 가온차트 2관왕, 마지막까지 화려했다. Osen (in Korean). Retrieved December 29, 2017. Park, Dong-seon (December 29, 2017). '세계적 아티스트의 유작, 차트재조명 되다' 故 샤이니 종현(JONGHYUN), 51주차 가온차트 주요 분야 점령. RPM9 (in Korean). Retrieved December 29, 2017. Benjamin, Jeff (December 27, 2017). "Jonghyun & SHINee Music Returns to New Highs on the Charts After His Death". Billboard. Retrieved December 28, 2017. "'밤도깨비' 측 "故 종현, 촬영분 방송 NO…스페셜로 대체"[공식]". Naver (in Korean). 2017-12-21. Retrieved 2017-12-24. "샤이니 측 "내년 日 공연, 신중히 생각하고 있어"[공식]". Naver (in Korean). 2017-12-23. Retrieved 2017-12-24. "[입장전문] 샤이니, 손편지 공개.."日공연 진행..종현과 함께란 생각"" (in Korean). Retrieved 2018-01-09. Rutherford, Kevin (December 30, 2017). "Jonghyun, SHINee Debut on Social 50 Chart Following Singer's Death". Billboard. Retrieved January 1, 2018. "EXO、日本コンサートでSHINee ジョンヒョンさんを追悼「とても恋しく大好きです…永遠に忘れません」". KStyle News (in Japanese). December 23, 2017. Retrieved December 23, 2017. "少女時代 テヨン、コンサート前にSHINee ジョンヒョンさんを追悼「私の声が聞こえるように歌います」". KStyle News (in Japanese). December 23, 2017. Retrieved December 23, 2017. "東方神起、東京ドーム公演でSHINee ジョンヒョンさんに追悼のメッセージ「彼を忘れないで」". KStyle News (in Japanese). December 22, 2017. Retrieved December 23, 2017. "故종현, 라디오로 다시 만난다…'푸른밤' 22일 추모방송". Nate (in Korean). December 20, 2017. Retrieved December 23, 2017. Herman, Tamar. "SHINee's Jonghyun Featured Posthumously on SM Entertainment Charity Single 'Dear My Family'". Billboard. Retrieved 3 January 2017. Baillie, Katie (January 15, 2018). "SM to create permanent memorial of SHINee's Jonghyun after vandals strike". Metro. Retrieved January 26, 2018. "엑소-레드벨벳-NCT127 'R.I.P JH' 故종현 추모" [Exo,Red Velvet, NCT 127 'R.I.P JH' Late Jonghyun Memorial]. Star Korea - Hankook Ilbo. Ahn, Sung-hoo (December 26, 2017). "[TD포토+] 엑소-레드벨벳-NCT127 '종현 추모하는 가슴팍 검은 리본 R.I.P JH'". Tv Daily. Retrieved January 14, 2018. "SHINee Jonghyun Breaks Loose with Creative Artistry in 2015: A Walk Through Two EPs 'Base,' 'Story Op.1,' A Lyric Novel, Concert Series". Venture Capital Post. December 17, 2015. Retrieved September 10, 2016. Kim Da-hee (April 12, 2016). "Four K-pop musicians defy 'mass-produced' brand". The Korea Times. Retrieved September 10, 2016. Lee Da-rae (June 28, 2017). "지드래곤의 뒤를 이을 '차세대' 아이돌 작곡가 7인" [Seven of the 'next generation' idol composers]. Insight Korea. Retrieved August 11, 2017. "Documentary Shows Top K-Pop Singers Behind the Scenes". Chosun Ilbo. May 2, 2012. Archived from the original on December 22, 2017. Retrieved May 4, 2012. Lee, Edmund (November 24, 2015). "Film review: SMTown: The Stage". South China Morning Post. Archived from the original on April 8, 2016. Retrieved April 8, 2016. "종현 푸른밤 인증샷, 상큼미소+V자포즈 '기쁨만발'". Nate (in Korean). February 4, 2014. Retrieved January 23, 2014. "[공식입장] MBC 측 "샤이니 종현, '푸른 밤' DJ 하차...후임 미정"". March 9, 2017. Retrieved March 9, 2017. Kim Yu-jin (November 12, 2015). "SHINee Jonghyun's book to be released". Kpop Herald. Retrieved August 2, 2016. Ahn Sung-mi (October 16, 2015). "Jonghyun to go live ahead of first solo concert". Kpop Herald. Retrieved July 18, 2016. Ahn Woo-rim (October 19, 2016). "Jonghyun Throws His Solo Concerts in Seoul and Busan". BNT News. Archived from the original on October 20, 2016. Retrieved October 20, 2016. "샤이니 종현·이진우, 라디오부문 우수상" (in Korean). Chosun. December 29, 2015. Retrieved July 18, 2016. "30th Golden Disk Awards EXO and Shinee". January 21, 2016. Archived from the original on January 28, 2016. Retrieved January 22, 2014. "Mnet Asian Music Awards official website". Archived from the original on July 19, 2016. Wikimedia Commons has media related toKim Jong-hyun.